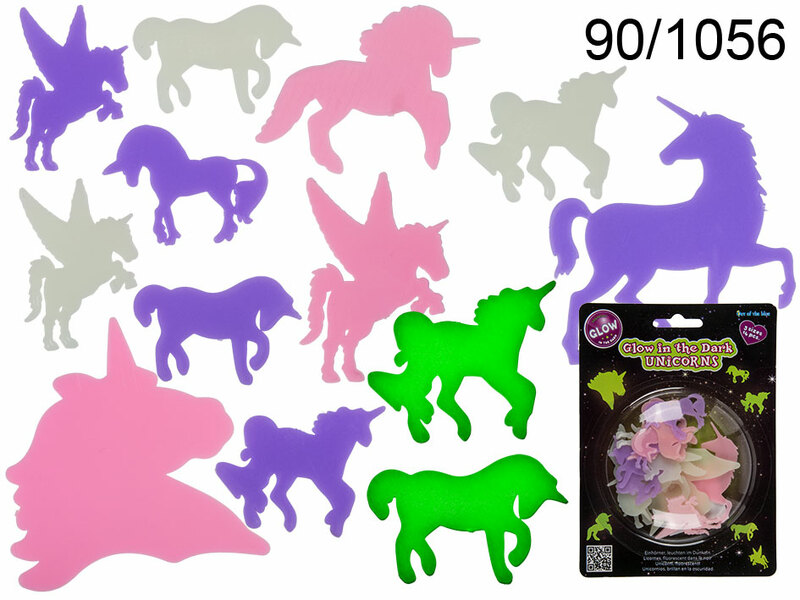 Set of 14 colourful fluorescent unicorns that glow in the dark. Perfect ceiling or wall decoration. They have to be exposed to light for some time earlier on in order to glow in the dark. The included unicorns are in three different sizesand three colours: white, pink, and purple.